At the same time as London’s newly elected Mayor takes office, it is apposite to reflect back on the journey that London local government – the Mayor and the 32 London boroughs and the City of London – has been making in recent years, and particularly the significant milestones achieved in the period covered by this annual review. And, just as the London we live in is both the same and very different to the London of 1965, so too in many ways are the London boroughs that serve Londoners today. The longevity of the boroughs reflects their relevance for the task at hand. Over those 50 years the London County Council, the Greater London Council and the Government Office for London have come and gone. 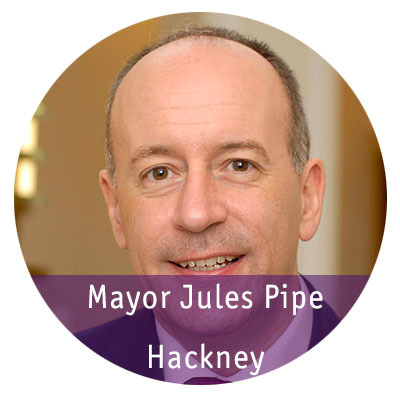 Today, of course, we have a directly elected Mayor working with the boroughs and the City of London to provide leadership and secure critical public services for our capital city. We look forward to working with the new Mayor to ensure that London has the right levers to make sure that together we can focus on the pressing needs of London right across the capital. We in the boroughs won’t simply be able to carry on delivering services in the same way, especially not when London boroughs have seen a cut of 44 per cent to their grants from central government – a direction of travel that is likely to be maintained for the next five years. Boroughs have long been at the forefront of innovation in public service delivery, but it is now widely recognised that meeting the needs of London’s rapidly growing population (expected to reach 11 million by 2050), most particularly at a time of public finance restraint, cannot be achieved by simply continuing to try and make existing systems work better or faster. That is why London’s leaders have collectively tasked London Councils with making the case to government, with the Mayor and with partners across the capital and beyond, that future needs can only be met by a new settlement that sees the UK’s traditionally centralist form of government unlock the potential for devolution to deliver joined-up solutions that can target limited resources to their maximum effect. This year London Councils and the Mayor of London submitted a set of joint proposals and inter-related reforms that London government wishes to see in order to provide sustainable solutions to the capital’s challenges. These have been recognised by government in the areas of employment support, skills, health and fiscal devolution that are explored in this review. These are significant steps in the journey we have collectively set ourselves upon. In addition, the urgency of working together with the Mayor and government to boost housing supply in London cannot be overestimated. As ever, we know that we now need to go further and faster to match our members’ ambitions for their communities and businesses. This review, however, is a useful way station in our journey and marks what can be achieved when London local government works together in the collective interests of Londoners. I look forward to continuing to work on our shared ambitions for London in the year ahead.